You rely on your Phase Technology analyzer to deliver results that are repeatable and reproducible. Why put your results at risk with improper sample preparation and handling? All Phase Technology analyzers have been designed to work best with specified supplies and consumables. Our R&D team has tested many alternative supply products and found these items best match the performance requirements of Phase Technology analyzers. In today’s busy lab, accurate data capture is key to optimizing workflow. Streamlining the data process results in better accuracy, less opportunity for error, and substantial savings in time and money. Using barcodes for tracking test samples provides the initial link in a chain of efficiency, ending with accurate print out of run results. DRYER DESICCANT for the analyzer purge system. Effectively removes moisture and ensures dryness of sample in the test chamber. The desiccant in the dryer bottle should be replaced after every 300 test runs. Higher humidity in your lab means more frequent replacement may be required. Always use a fresh package when replacing the desiccant. Avoid exposing the desiccant to the atmosphere for any length of time. It absorbs moisture quickly, and exposure means more frequent replacement. Never try to recharge desiccant. Dust created by this process will circulate through the purge system and will damage vital components and void the warranty. Available in 5-pack (DRD-605P) or 10-pack (DRD-610P) quantities. DRYSAC test sample dryer sacs for removing moisture in fuel samples. They are recommended for samples prior to freeze point testing. DrySacs contain a molecular sieve-type desiccant inside a permeable membrane. Samples can pick up water from the air if left exposed. Even if a sample is dry to begin with, the fuel can still be vulnerable to interference by moisture in the atmosphere over an extended period. 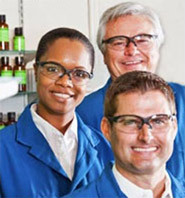 Recommended for QC samples that are used over a long period of time. Replace DrySacs with fresh ones regularly. Always use a fresh DrySac for each sample. Available in cans of 600 DrySacs (DRP-06C). PIPETTES and PIPETTE TIPS dispense a precise, fixed sample volume of 150 μL as required by the ASTM test method. Specially-designed, ISO-certified pipettes provide ultimate contamination protection for sample, pipette and user. Always use fresh, clean pipette tip. Make sure the tip and piston fit tightly. Replace the pipette tip and piston after each use to avoid contaminating the next sample. Positive-piston design ensures there is no air-to-liquid interface. The wiping action of the piston against the capillary wall assures accurate dispensing of even the most viscous sample and avoids any carry-over. Built-in tip ejector prevents user contamination. Designed to provide enhanced comfort and reduce repetitive strain injuries. Phase Technology piston-driven pipette (PPP-150M) uses highly accurate, disposable replacement tips. Available for reorder in quantities of 1000 (PTIP-150M5) or 2000 (PTIP-150M10). COTTON SWABS designed to safely clean the analyzer sample cup. Dip swab in rubbing alcohol to clean lens surface. Use dry cotton swabs to dry the lens after cleaning. The use of non-approved wooden or bamboo-stemmed swabs may scratch the mirrored surface of the sample cup and void your warranty. Available in quantities of 4000 cotton swabs (COTSWAB): 10 packs of 400 per pack. SCREEN PROTECTOR for Series 70X and 70Xi touch screen. Protects analyzer from potential damage due to spillage. Designed to provide ultimate protection of glass surface while providing maximum touch sensitivity. Perfectly cut, making it easy to apply and offering immediate protection. Easily removable should it start to get dirty. For 70X Series analyzers: Available in package of 10 protectors (PFILM-70X). For 70Xi Series analyzers: Available in palckage of 5 protectors (PFILM-70Xi). 30 mL glass vials are packed in a clean environment to reduce contamination. Caps and Teflon-coated, dual layer septum ensure proper seal, minimizing sample loss and contamination. Available in quantities of 1000 (APX48-30V) complete sets of vials, caps and septa. Also available in individual quantities of 1000 caps and septa. only(APX48-30C); 1000 vials only (APX48-30G); and septa only (APX48-30S). 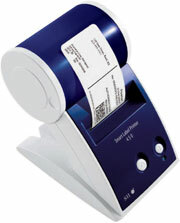 Note: VA-300 Autosampler uses same items but order numbers are different. Please contact us for ordering information. DRYER DESICCANT for the analyzer purge system. Order part number DRD-610P (10-pack). MEMBRANE FILTER for sample conditioning unit. RECHARGEABLE BATTERY (BAT-T30) for CPA-T30. DC POWER ADAPTOR (DCA-T30) with cigarette lighter plug. Added flexibility for on-the-road users. Enables use of truck or automobile to power the T-30 using cigarette plug. Dispenses 10mL of sample as required in ASTM test method. Made of fuel-resistant plastic, syringes are specially designed to tightly seal at the T-30's injection port. Available in packages of 100 syringes (SRNG-10C). Designed to fit under the drain port on front of T-30 to capture fuel sample waste. 3 oz. plastic beaker (BKR-T30). Featuring an ideal balance of performance, speed, durability, and ergonomics, the Phase Technology BSC-70X Sample ID Barcode Scanner is a time-saving, hassle-free addition to your laboratory. Up to 270 scans per second makes bar code reading faster than ever. Excellent tolerance to lateral hand motion. Working range from .5 inches to 18 inches from bar code. Sleek, modern design results in a smaller, lighter device for increased operator comfort and productivity. Built to last with no moving parts to wear out. One of the toughest scanners on the market. For use with all 70X Series laboratory analyzers and autosampler systems. Can also be used with VA300 Viscometer. The Phase Technology LLP-70A Label Printer for Laboratory Analyzers makes it easy to print labels quickly, one at a time. It’s small footprint saves valuable bench space in your lab. The LLP-70A eliminates the need to handwrite or retype test run results, saving time and eliminating potential errors. 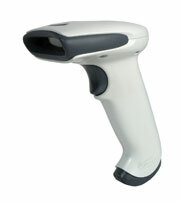 Use the LLP-70A to print out bar codes that can be affixed to your samples or reports. Quiet, high-speed, high resolution printing at 300 DPI. Perfect for printing bar codes.